As the first African-American and the youngest person to receive the Democratic Nomination in the 28th District, I am honored to fight for the people of Virginia! 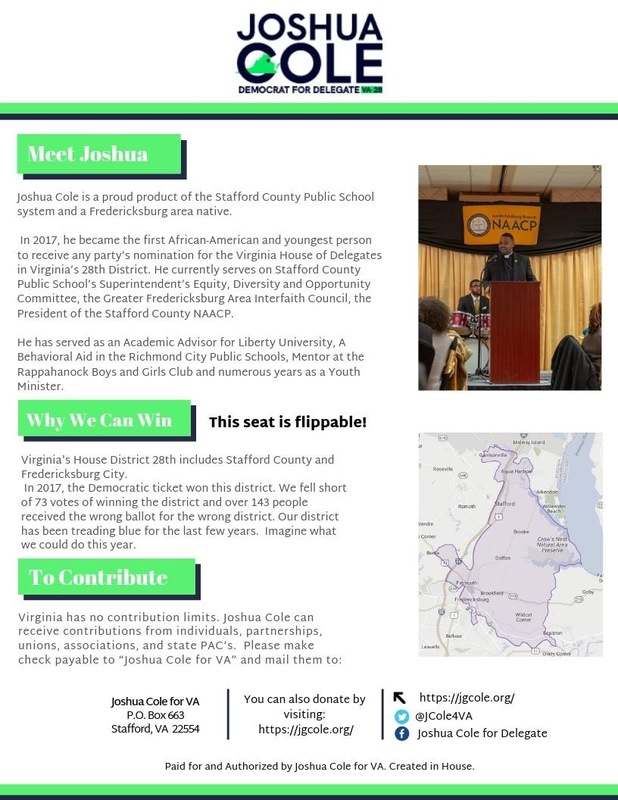 Chip so we can spread the word and fight for progressive values in Virginia. This is our fight, so let's get to work on building a better Virginia!